The study comes on the heels of last month’s Duke University (and Natural Resources Defense Council funded) study that found fracking “has not contaminated groundwater in northwestern West Virginia.” It is also in line with the conclusions of the recently finalized U.S. Environmental Protection Agency’s (EPA) five-year study, which found no evidence of widespread water contamination of drinking water from fracking. 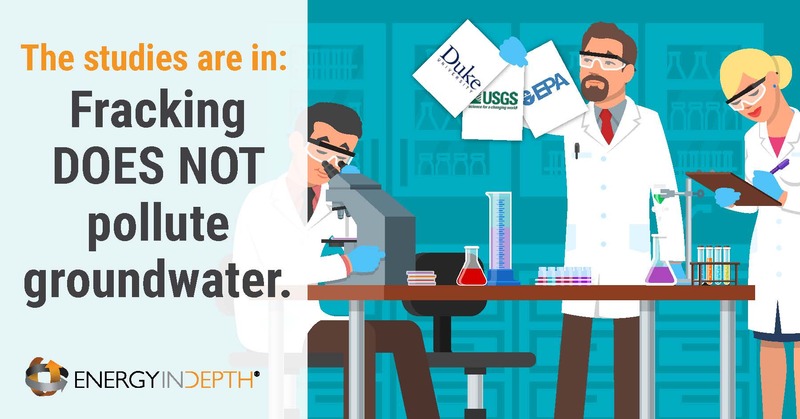 Along with the recent Duke and EPA studies, this USGS report adds to the long list of reputable studies showing fracking does not pose a credible threat to drinking water. The most notable examples are listed below. As the above list of research has already confirmed and EID has noted on numerous occasions, the science on fracking’s drinking alleged drinking water impacts has been settled for some time. The new USGS study just adds to already overwhelming evidence that shale development does not pose the widespread, systemic threat activists have long claimed.